What is Clash Royale Clan Wars? 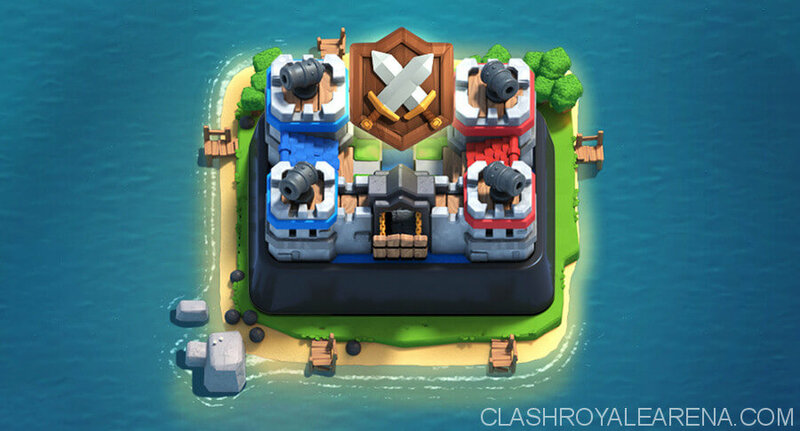 Clan Wars is the new feature being released in the huge 2018 April update. The Clan Wars event lasts for 5 days. The whole Clan (50 members) can participate in Clan Wars. Battle with your Clanmates and gain lots of rewards against other Clans around the world. Find an active Clan which has at least 10 members to participate in Clash Royale Clan Wars. 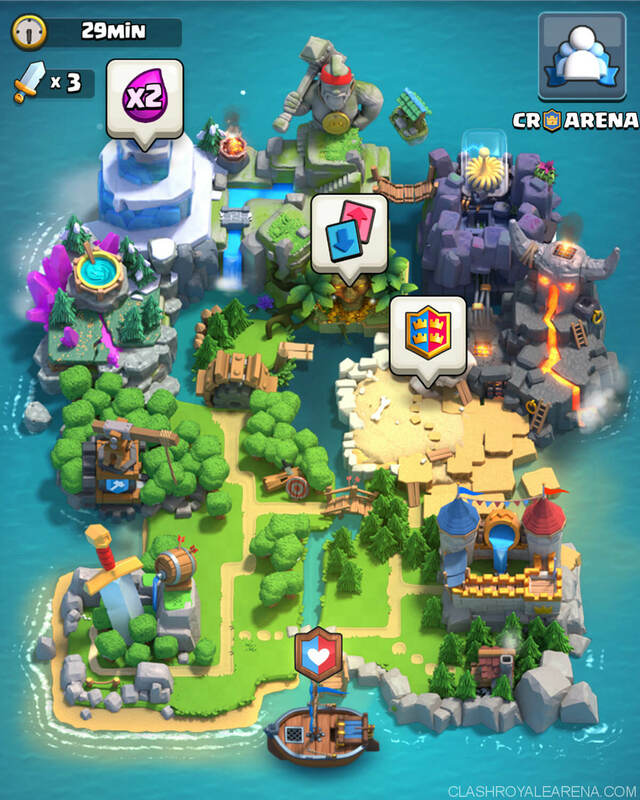 Your King’s Towers need to be at least level 8. Only Leaders or Co-Leaders can start the Clan Wars. On the first day of the Clan War, do your best to get as many Clan Cards as you can for your Clan. Clan Cards are used to build up your War Decks in the Clan Wars. Players can collect the Clan Cards on the preparation day. Clan Cards will be level up automatically as more cards are collected, no gold required. The Clan Card levels will be lowered to your own cards level if they are higher than yours. If your own card levels are too low, or usually lower than your Clan card levels, consider upgrading them. You should upgrade multiple cards at once, rather than upgrading just a few cards to maxed. Clan Wars in Bronze League usually have cards approximately at Tournament Standard so you don’t need to level up everything so soon. Upgrade your cards accordingly as your Clan claims to higher leagues. Wait until the War Day (second day) to upgrade your cards. You will know exact the cards you should upgrade. Always test and play the War Deck before the War Day. Test it either with your friends, Challenges or even Ladder matches. The first day of the Clash Royale Clan War is the Collection Day. During the first day, you have 3 matches to play in the War Map (screenshot above). There are different game modes here for you to choose: 2v2 Ladder, Sudden Death, 2v2 Double Elixir, Draft Mode and Double Elixir. Once a game mode played, it will be replaced by a different game mode. You use your own cards to play on the Collection day. The number of Clan Cards you can get on the first day based on your Clan War League and your match results. The winner will get more Clan Cards than the defeated one. The higher League your Clan is, the more Clan Cards your members can get. You can easily see and change your deck right on the Collection Day screen. Play any game mode you want. The winner will have x2 more cards than the defeated one. It’s definitely worth doing your best to get the win. If all of your members have 3 wins on the first day, that’s such a huge opportunity for your Clan on the second day. Draft matches have the Tournament Standard. If your card levels are not great, it is always recommended to play Draft. If all of the 50 members in your Clan participate in the War, your Clan will be matched with other 50-member Clans. The second day of the Clash Royale Clan Wars is the War Day. On the War Day, you have to build up a deck based on your Clan Cards. 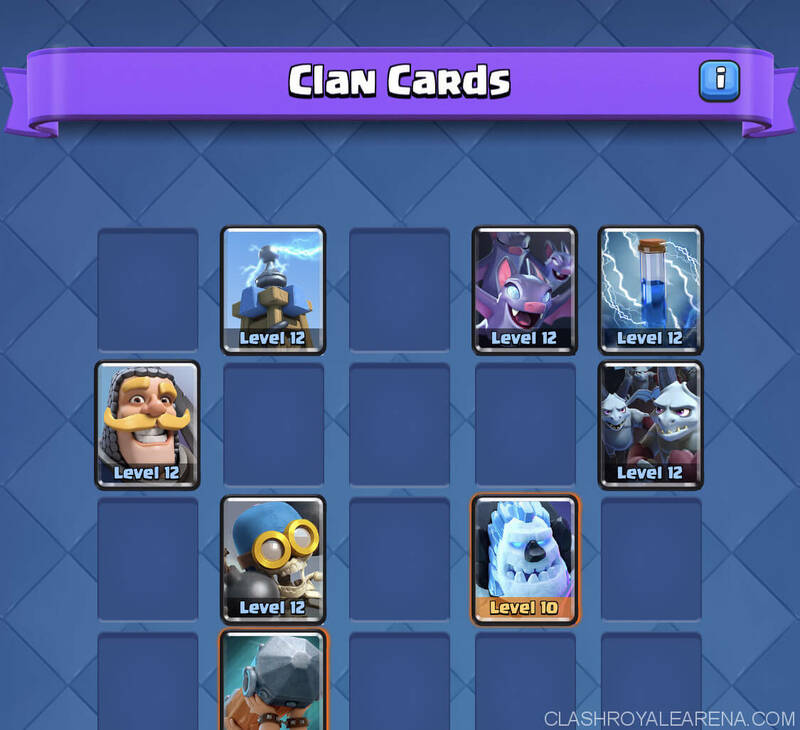 You can’t use cards you haven’t unlocked yet, and your Clan Card levels can’t be higher higher than your own ones. So consider upgrading your own cards again at here. Your Clan will get matched against 4 other Clans. Each Clan member has only 1 attack on the War Day using their own decks. Don’t forget to share your Clan deck with other Clan members via the Clan deck building screen. Always test your Clan decks first before using it in the War. Some players might have more than 1 match to ensure all of the Clans have the same matches played. If you do not want to participate in the War, do not play in the Collection Day. If you get hard-countered in a match and you just can’t win it, do the best to get a crown to help your Clan. Win matters, play aggressive decks to win the match. Since the opponent Clans likely never get matches against you, there is no reason to take the tie. 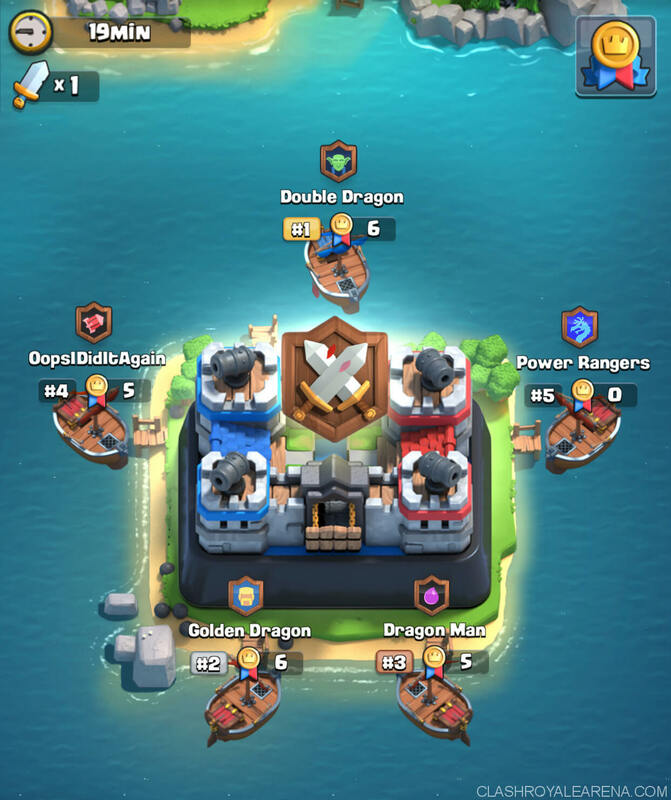 Tap on your Clan’s boat to see more details about your Clan. You can nudge players who haven’t used their attack yet. The rewards will be determined based on your Clan Trophies. Gain more Clan Trophies to progress through the Clan Leagues. You will get the War Chest at the end of the Clan War Season (2 weeks). The War Chest is based on your Clan League and the highest ranked war you participated in during the season. Better rank + higher league = bigger chest. Here are all of the information you need to know about Clan League. First, you need to pick a win condition based on your favorite archetype. Pick something you are interested in playing or you are confident that you are good with. However, before picking the exact win condition, you need to pick out the archetype you want to play! You will have a tank in general for your main damage output! You will need to sacrifice tower HP for elixir leads, place and protect a Collector to further this elixir lead (in some decks)! Great vs Siege decks! Weaker vs fast cycle decks. During 2x Elixir, you have the advantage vs cheaper decks. 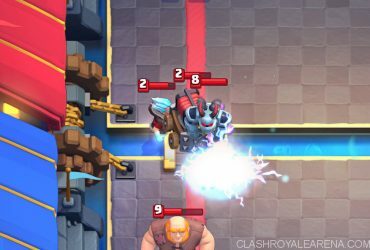 Cards like P.E.K.K.A need you to make specific adjustments to take down. Amazing counterpush potential Get struggled vs hard counters like Exenado or Giant NW decks. Using Siege decks, you typically want to have a fairly cheap cycle. You can easily take care of their units within the range of their towers! This can pose many advantages. The win condition buildings are fairly tanky and can be used on defense as well! Typically you have more than 1 win condition in this archetype. Works great vs faster cycle decks. Weak vs beatdown pushes. Cheap cost allows you to out cycle counters Multiple tanks and heavy spells can be very annoying. Almost always can get a draw. Once lost a Tower, you will be in a tough situation. You will want to control the pace and the tempo of the game. Make sure your opponent follows your cycle. And like siege, have a deck that can defend really well at mitigating damage and giving up the least amount of damage possible. Typically cheap to mid-range average elixir decks. There are two other sub-archetypes in this section are: Cycle and Bait. Fast cycle. Some decks here have hard counters. Great vs beatdown decks! 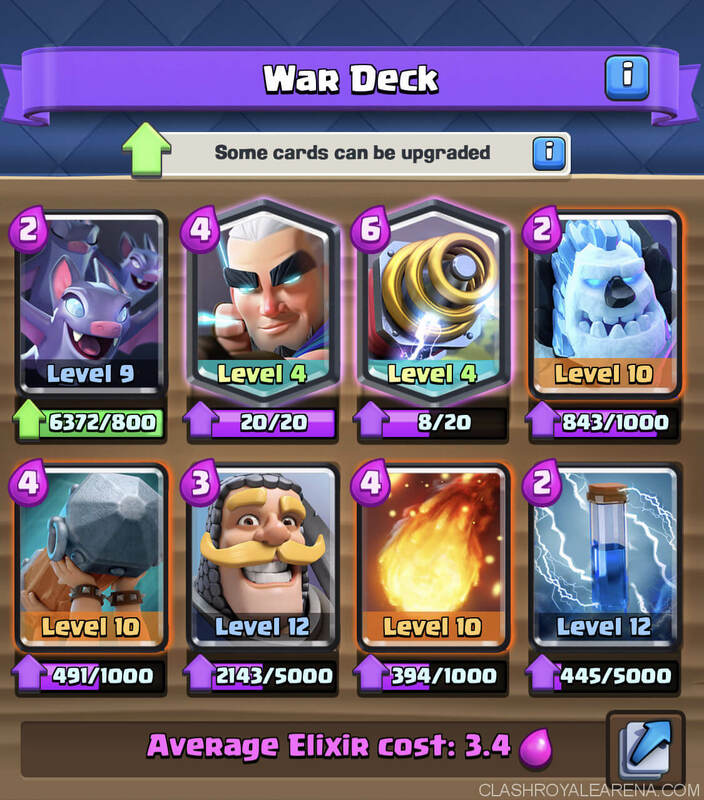 P.E.K.K.A and Siege counters most of these decks. Great on defence to avoid damage. Usually doesn’t have enough damage to get more than 1 Tower. Most of the time, stronger than siege. Here are some types of Hybrid decks you would want to know about. Beatdown + Control: Giant Miner, Giant Graveyard, Golem Graveyard etc. Beatdown+ Bait: Giant Sparky, Giant 3 Muskets, Giant Goblin Barrel etc. 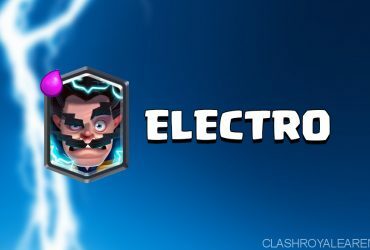 Siege+ Bait: Mortar Bait – Hog Rider or Miner, X-Bow with Elixir Collector, etc. Siege + Control: X-Bow P.E.K.K.A, Mortar P.E.K.K.A, etc. Typically can’t be hard countered. More skills based so you need to make decisions on the fly. Harder to predict with a more diverse playstyle. 2nd win condition will take up 1 slot. Sometimes can be tedious. Building Deck Around The Win Condition! Win condition – Card that gets you the most damage output. Heavy spell – Spell that does typically above 200 damage. Light spell – Cheap spell, less than 4 Elixir, for clearing swarms. Glass cannon – Low-mid HP troop with high damage-per-second (DPS). Typically die to spell (or survive with just a little of HP). Examples: Witches, Wizard, Musketeer etc. Mini tank- Mid HP unit. Medium DPS. Used for sponging damage but not too reliable vs heavy pushes on their own. Examples: Ice Golem, Knight etc. Splank – Tank + Splash damage dealer. Examples: Baby dragon, Valkyrie, Bowler etc. Tank – Heavy card with 3000+ HP. I will address 3 Musketeers separately because though beatdown you would typically play it different to a regular Giant or Golem deck + deck would build differently too! Consider replacing the #7 or #8 cards with a Collector if your deck is too expensive. Typically to clear away medium-low HP troops, getting value in the process. Cheap cards that typically almost always paired up with the Giant. It can either be a ground troop, or air troop. Should be below 5 Elixir, cheap and have splash damage and. Typically would be able to deal damage from far away! Slot #6: Glass Cannon/Tank Killer! This will be your main way of dealing with your opponents heavy cards and their win conditions. Something that can tank hits from dangerous troops like P.E.K.K.A, Prince etc so your Mini Tank won’t die or your own tank won’t get hit. Also these guys could be your secondary source of getting damage! These guys are similar, maybe a slight spell bait but in the air. I prefer having a cycle but defensive card in my decks that fit this criteria. That being said you can put in a cycle card here instead of the air swarmy card. Typically for dealing with air threats. Also able to cycle and kill troops from the safety of your side, protecting your X-Bow. This isn’t the same as your defensive building. This should be mainly a cycle card but all the same a card that does good DPS and transform into a counterpush. Mainly to just cycle while giving defensive utility. This is the support for the main Win Condition. For example, If you want to build Giant Miner Deck, use NW for Giant. If the slot #5 is a ranged card, use a Cycle card here. Can be single or swarm, depending on the win conditions and the idea of the deck. Now that you’ve built your deck, you will want to give it a test go. Perhaps a challenge, tournament or friendly battle. When I was testing some decks above, I created a few of them on my own. I am not saying they will be perfect! Playing a game or two with them will show you where to improve the deck, what to change etc. Know what cards might be better. Trial and error before you finalize a deck! Lastly, you will need to make sure you’ve undergone several cycles of trial and error before you finalize your deck. When you’ve finally finished the deck, just grind away with it. Get used to it’s cards, when to play what etc! Once you got a good grasp of the deck, winning with it will not be too challenging of a thing to do!